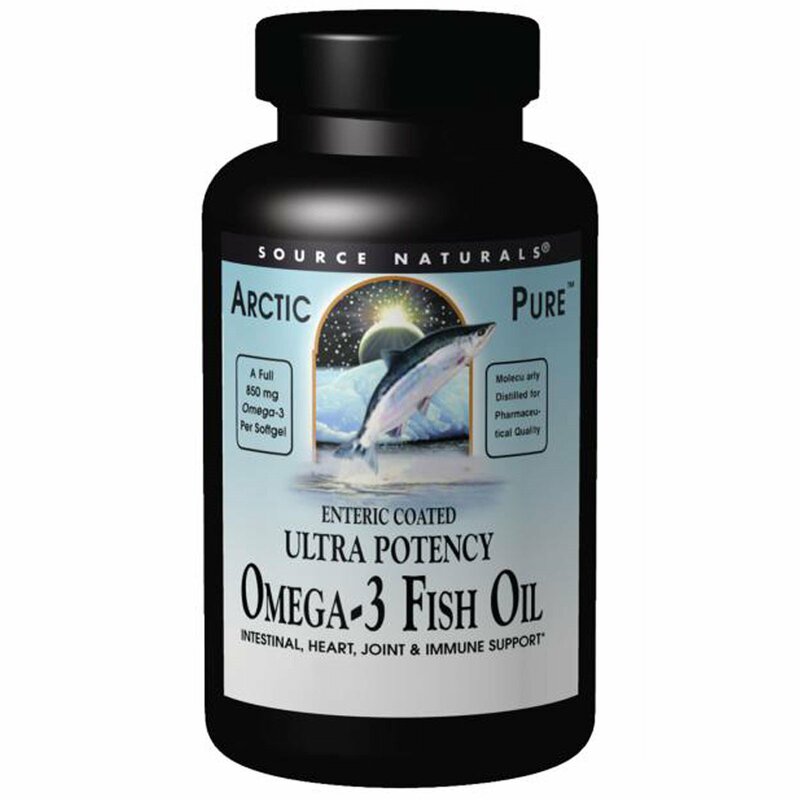 Fish oils with EPA and DHA support the healthy functions of the brain, joints, and circulatory system. This enteric-coated, high potency softgel is digested in the intestine, not the stomach, for additional, focused benefits to the small intestines and colon. It contains a potent 850 mg of omega-3. 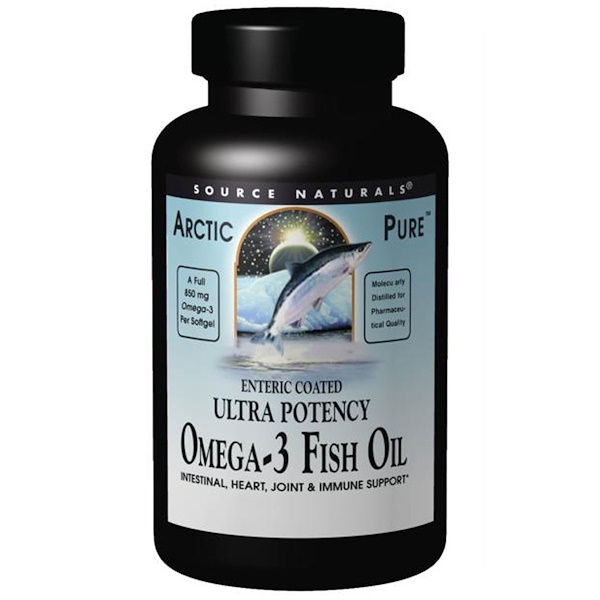 ArcticPure uses a series of advanced molecular distillation processes to extract and concentrate the beneficial fatty acids from the raw oil, resulting in a product of outstanding purity. The state-of-the-art encapsulation ensures an oil as pure as any oil available worldwide. Gelatin, glycerin, purified water, mixed natural tocopherols, shellac, sodium alginate, acetylated mono-glycerides, glycerin, polysorbate 80, and potassium sorbate. Caution: If you are pregnant, may become pregnant, or breastfeeding, have any blood coagulation disorder, or are taking any prescription medication such as warfarin (Coumadin), consult your health care professional before using this product. Discontinue use before any surgical procedure.